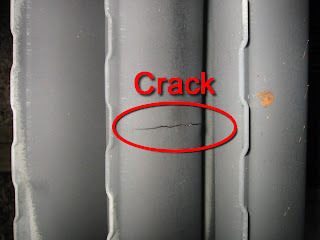 Sandium Heating and Air Blog: Are There Cracks In Your Heat Exchanger? 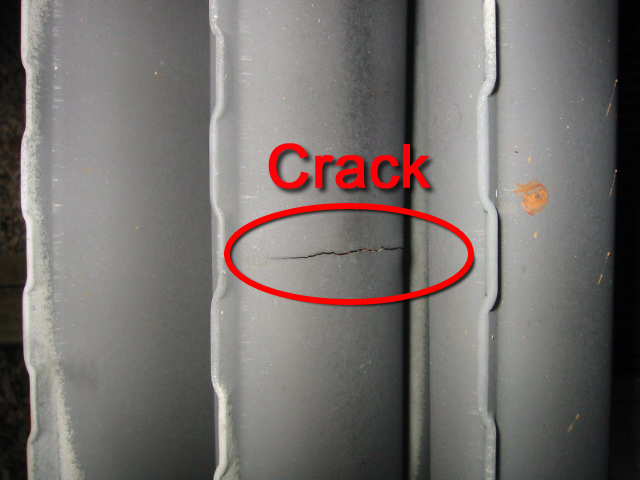 Are There Cracks In Your Heat Exchanger? Your furnace’s heat exchanger is actually a piece of metal that shields the air stream leaving your furnace from the fire which it creates. This metal is subjected to intense heat, often for long durations. This continuous exposure wears down the heat exchanger and can cause hair line cracks and holes to appear within the metal. Not all cracks will mean the end of your furnace. It's a wise decision to have an HVAC specialist check out your furnace and check for any cracks. If the damage is superficial, there may be no reason to replace either the heat exchanger or entire system. If the damage is significant, however, the furnace is going to be considered dangerous to run as combustion materials can easily leak through the breaks and create a health risk to your family, sometimes resulting in significant respiratory issues and even deadly carbon monoxide poisoning. The HVAC tech will examine your furnace for any likely damages. If he discovers that there is a cracked heat exchanger which is substantial enough, your furnace is going to be “red-tagged.” Because of this you won't be permitted to operate your furnace until either it's either repaired or replaced. Based on the seriousness of the damage, you might be able to replace the heat exchanger itself, which is often an expensive fix. Regardless of the higher cost of a full furnace replacement, this is often the better option ultimately.